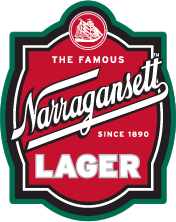 Narragansett. Your first one is never your last one. Take a close look. 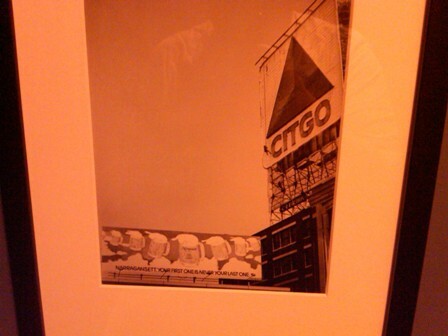 That’s a Narragansett beer billboard up next to the famous Citgo light sign in Kenmore Square overlooking Fenway Park. Under those frosty mugs reads, “Narragansett. Your first one is never your last one.” Well said! This was taken in the late 60’s back when Gansett was the official beer of Red Sox baseball. This framed piece currently hangs in the Kenmore Square T stop. Coincidentally, the 218,000 new energy efficient LED lights on CITGO Sign currently use only 24 volts to power the sign, compared to 15,000 volts in 1940.